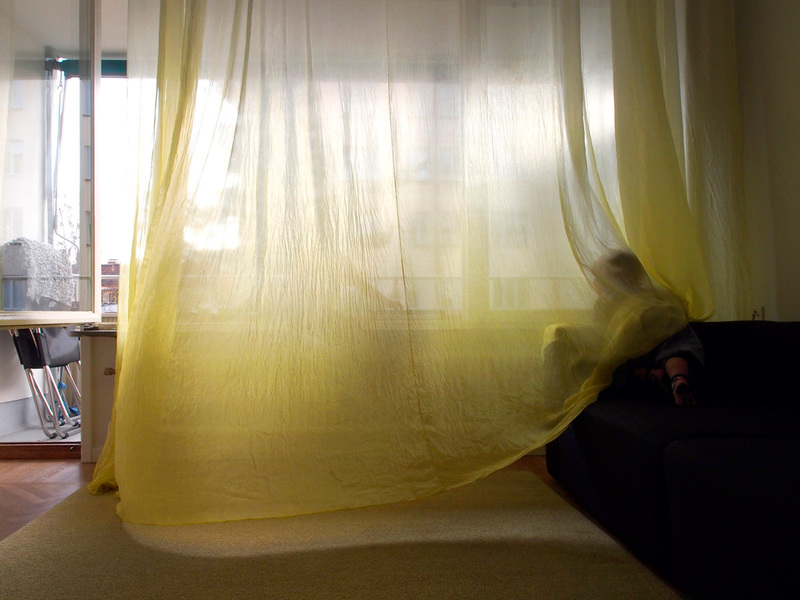 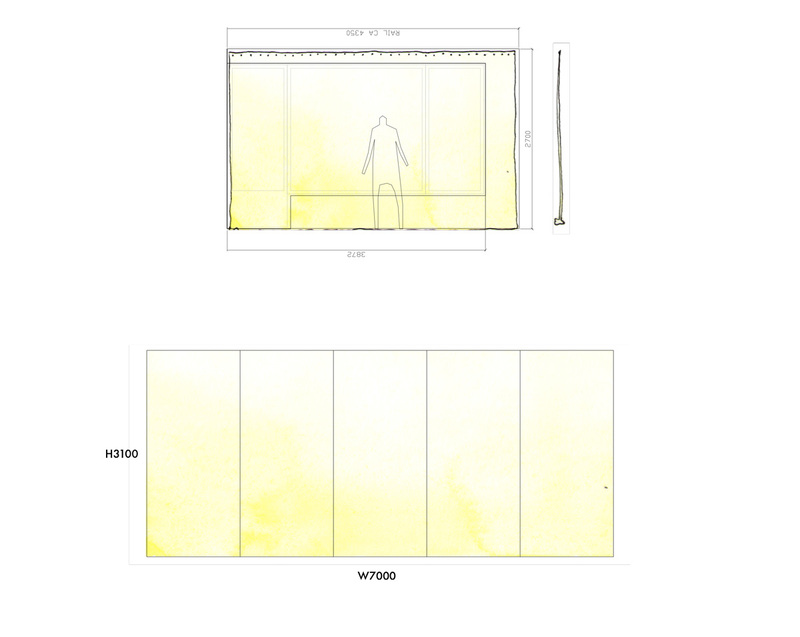 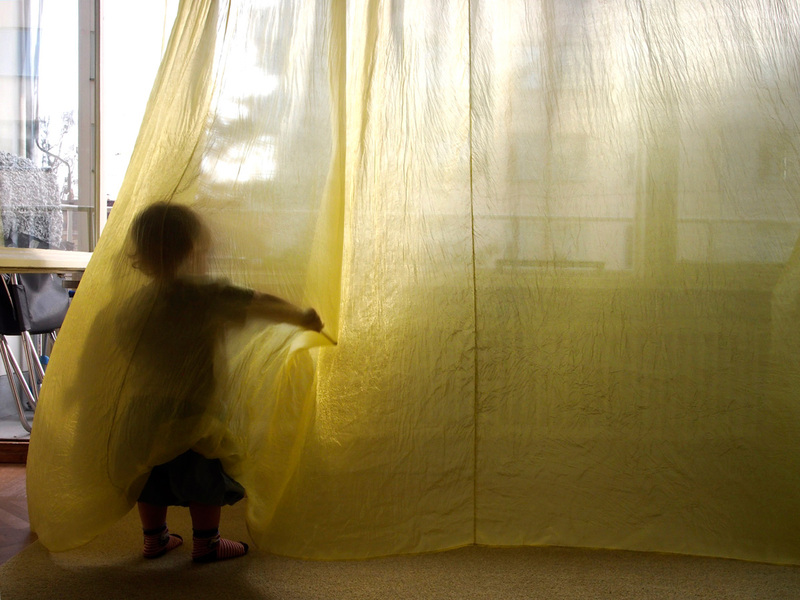 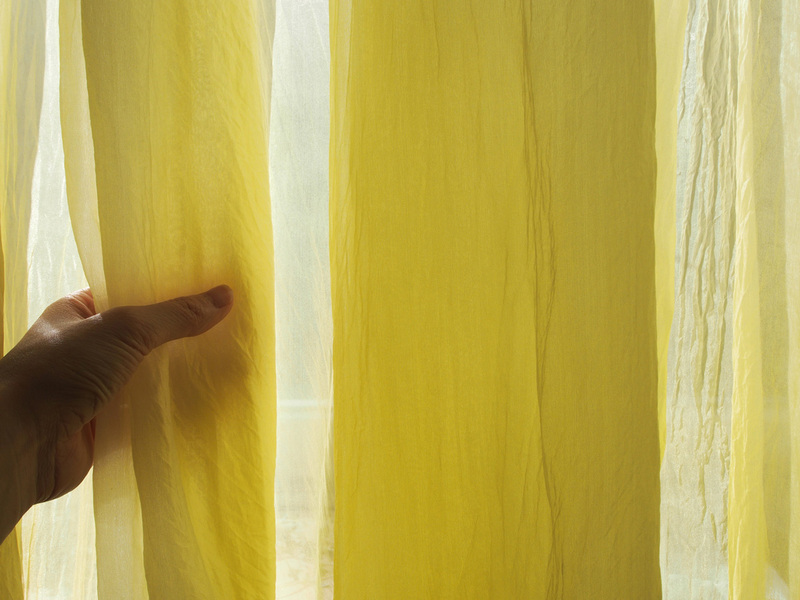 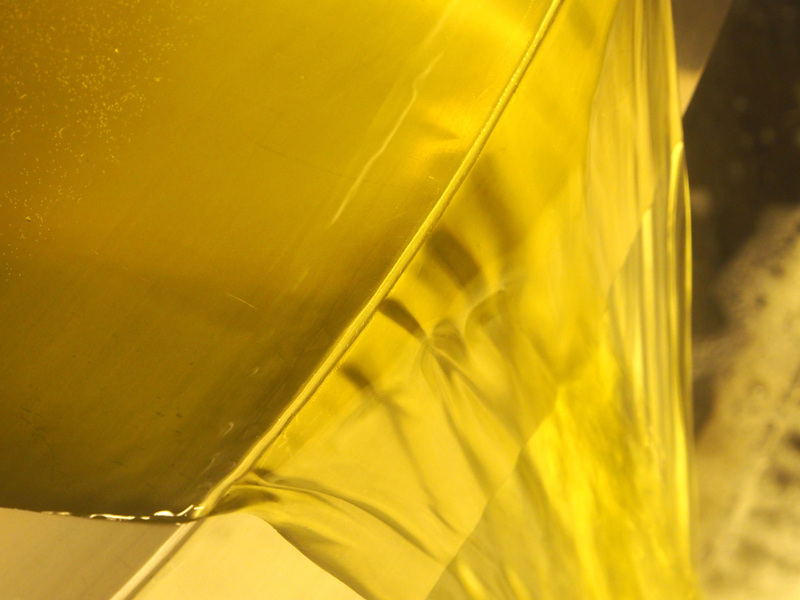 Studio Akane Moriyama made hand-dyed yellow silk curtains for a private home in Stockholm. 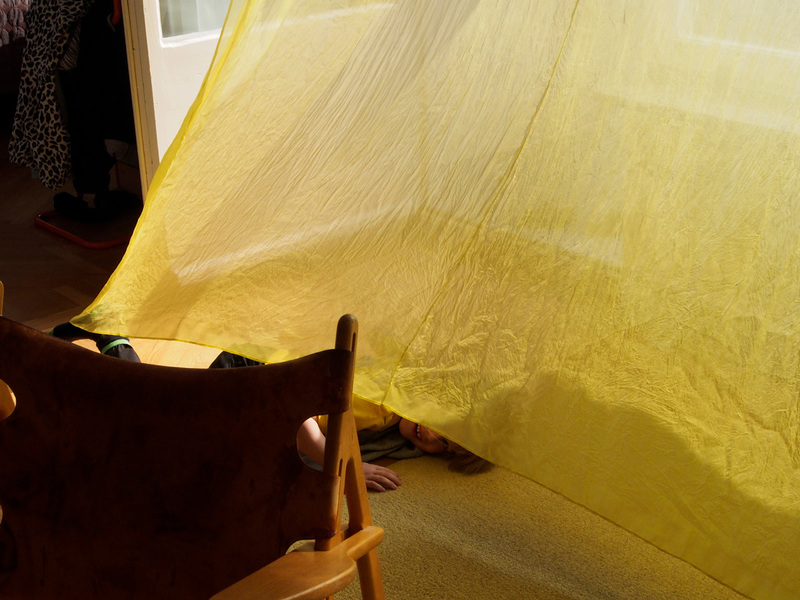 The bottom part of the 7m wide silk fabric was dyed into a dandelion yellow – corresponding to the colour of a family heirloom carpet, inherited from the grandmother of the resident. 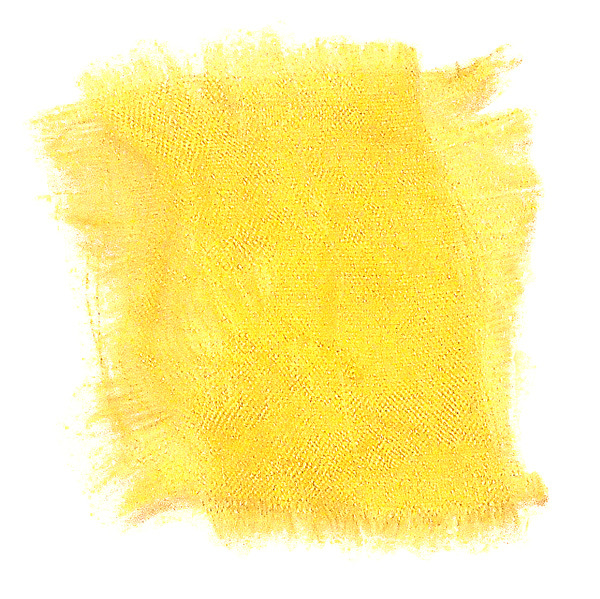 The colour gradually fades upwards into the same whiteness as the ceiling. 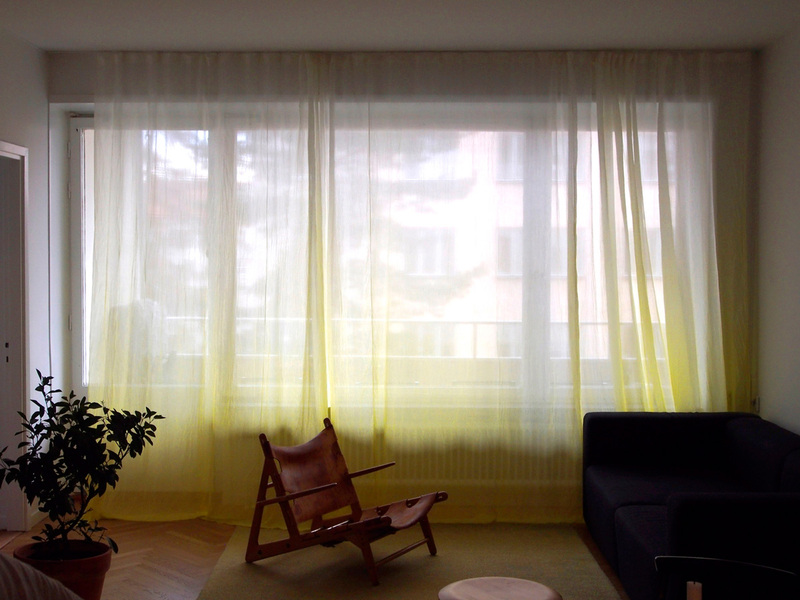 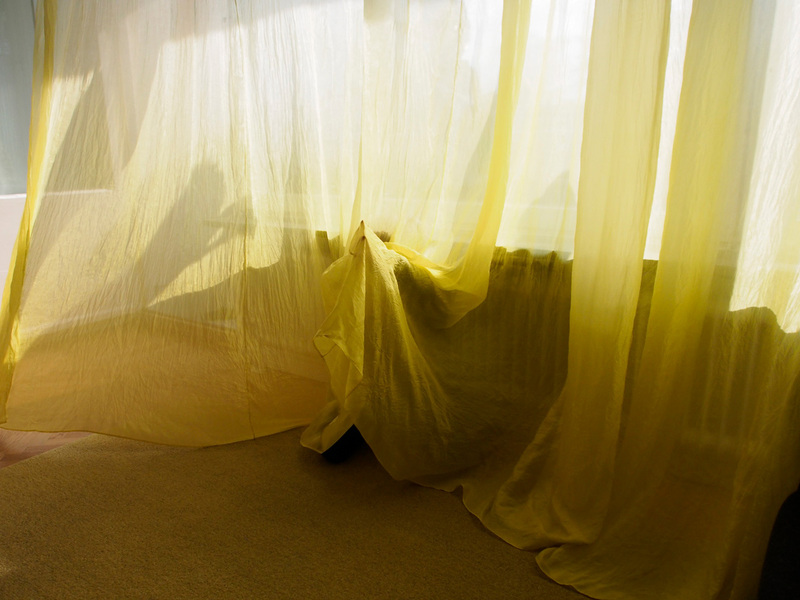 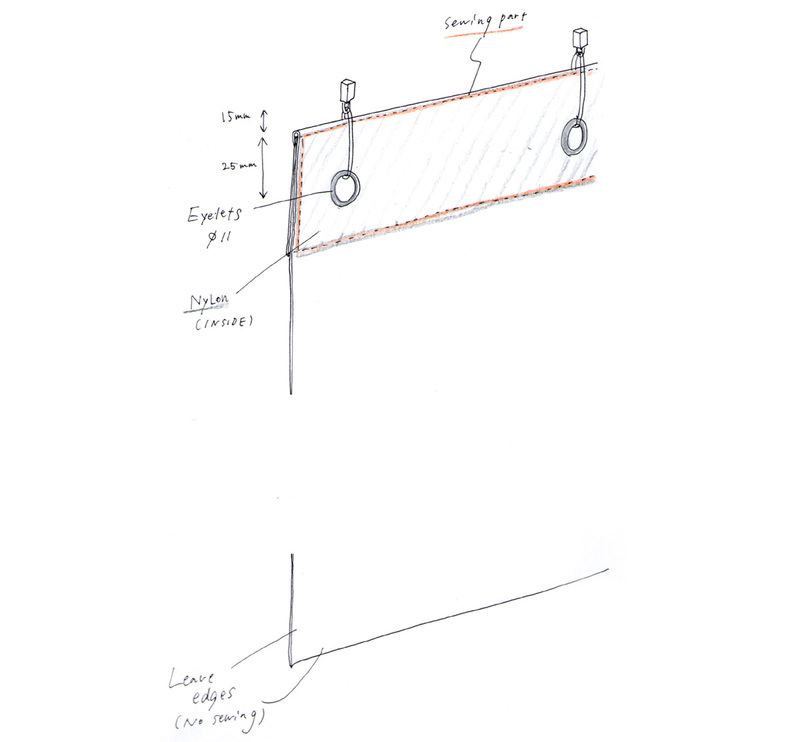 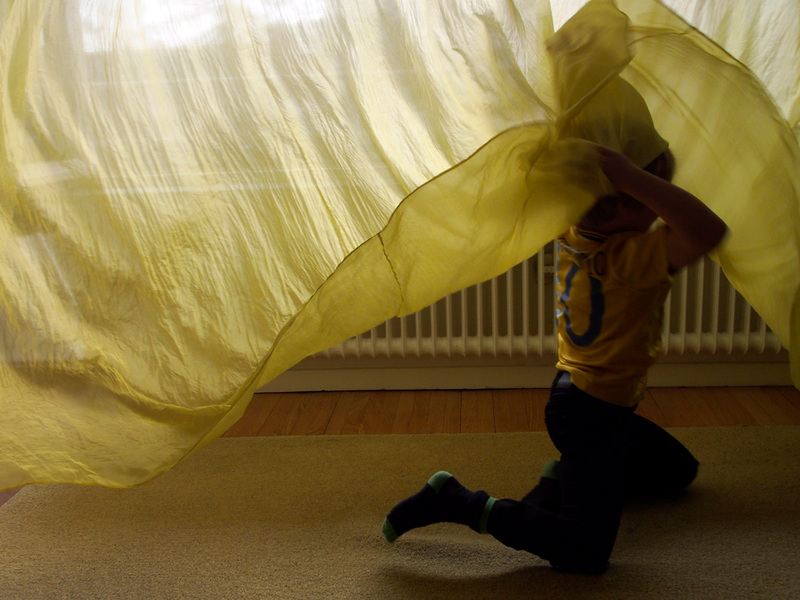 Made of light-weight silk, the curtain creates various expressions moment to moment, being influenced by the breeze, sunlight and hide-and-seek games.